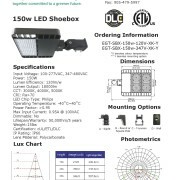 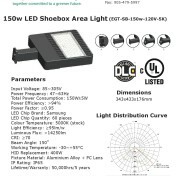 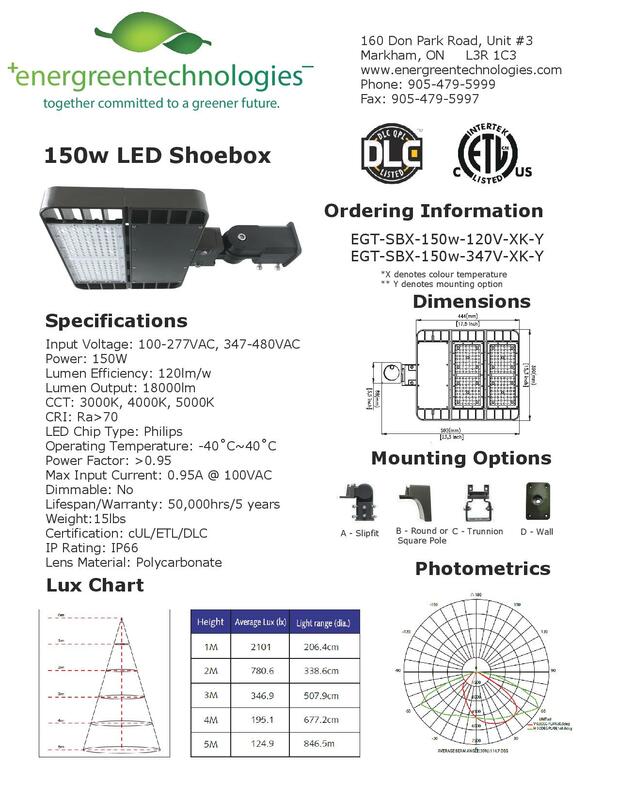 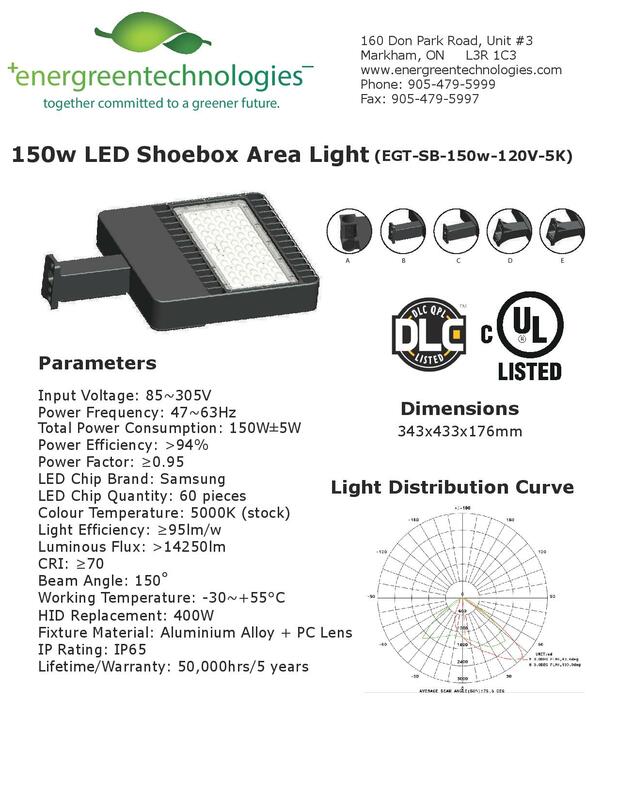 EnerGreen’s DLC-listed 150w shoebox/area light is ideal for replacing up to a 400w metal halide. 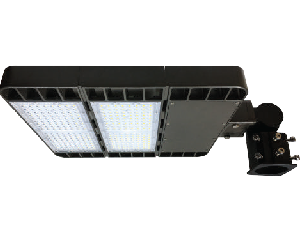 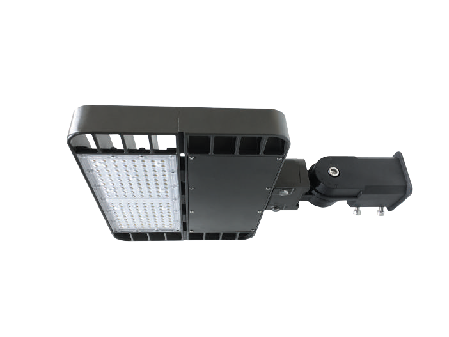 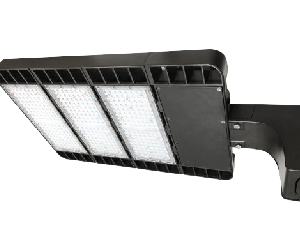 This fixture carries a lifespan of 50,000hrs along with a 10-year warranty. 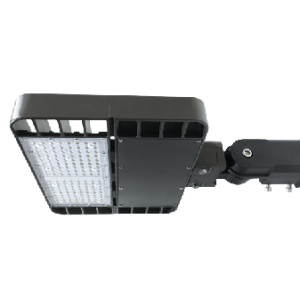 Available in a slipfit mount, extrusion arm for square/round poles, trunnion mount, and wall mount.